Claude L Stephens, 85, of North Fort Myers, Florida, formerly of Linton, passed away on Sunday, May 22, 2016, at his home in Florida. He was born on March 9, 1931, in Knox County, Indiana, the son of Floyd L Stephens and Ruby Harman Stephens. 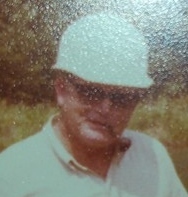 Claude worked for Jackson Brothers Sawmill for 44 years and owned Stephens Catfish Farm. He was an avid fisherman and gardener. He was preceded in death by his parents, his first wife Dorothy Rudy Stephens, his second wife Edith Close Stephens, two sons, Darrell and Terry L Stephens, two daughters, Elizabeth A. and Jessica M. Stephens, and two brothers, Russell and Henry Stephens. Survivors include eight sons, Kenneth L Stephens (Sherry) of Booneville, IN., Charles R Stephens (Cheri) of Linton, Floyd W Stephens (Jessie) of Linton, Everrett J Stephens (Kim) of Shelburn, Kaven L Stephens (Debra) of Oklahoma, Charles Eugene Stephens of North Fort Myers, FL, Jesse W Stephens of Lyons, and Shane A Stephens of Linton, three daughters, Claudia D Wright (John) of Dugger, Barbara J Stephens of North Fort Myers, FL, and Brenda J Plano, of Brazil, two brothers, Norman Stephens of Kokomo, and Paul Stephens of Knox County, three sisters, Virginia Matting of Florida, Mary Alice Miller of Effingham, IL, and Katherine Coomer of Evansville, 31 grandchildren, and 46 great-grandchildren. Funeral services will be at 11:00 AM, Wednesday, June 1, 2016, at Newkirk’s Funeral Home with Pastor Shawn Farris officiating. Interment will follow in Memorial Park Cemetery located in Vincennes, Indiana. Visitation will be from 5:00 PM until 8:00 PM on Tuesday, May 31, 2016, at Newkirk’s.